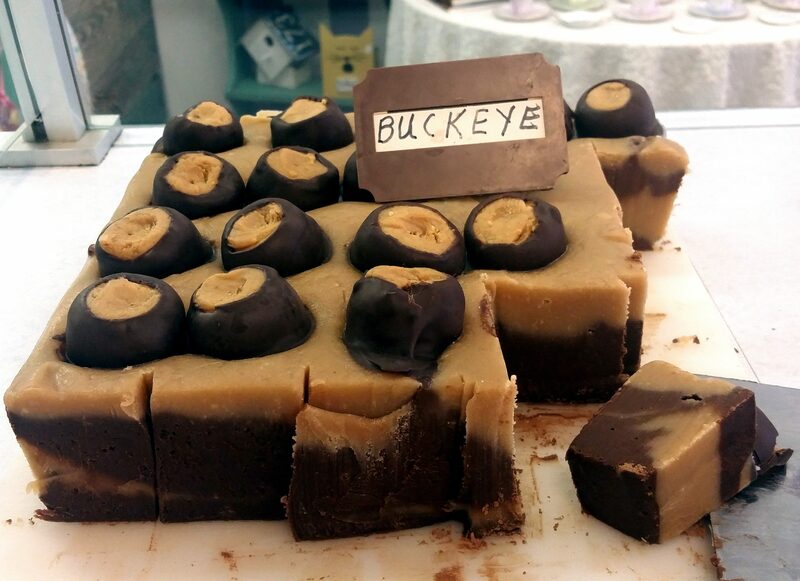 Since first opening its doors for business as Braden & Sons Sweet Shop in the 1980s, Holly B’s has established itself as a sweet-toothed staple of Southwest Ohio. Home to an incredible selection of handmade candies, chocolates, fudge and other flavorful favorites, the Waynesville confectionery boasts a colorful, fun-loving interior and an even more fun-loving namesake. 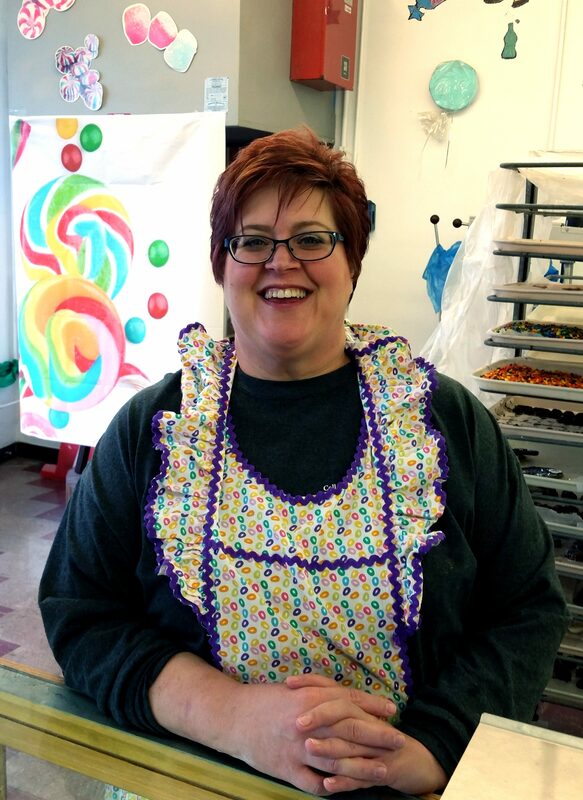 In this sweet-toothed installment of our “Meet the Chef” blog series, we take you behind the scenes of Holly B’s Sweets to meet Holly B herself – head candy maker and owner, Holly Braden. Holly B’s has been one of Warren County’s most beloved sweet shops for decades, but even many locals still don’t know its story. Where did all of this come from? My mother-in-law actually started the candy store back in the 1980s, but my father-in-law’s family had been in the candy-making business for many, many years before that, dating back to the 1930s and ’40s. Where did you get your candy-making experience? Did you have any background in cooking or baking before Holly B’s? My background is actually in animals, believe it or not. I have worked for a number of different rescues, the Humane Society and a wonderful vet office over the years. Honestly, I have just always loved eating chocolate and candy and learned how to make it along the way. Holly B’s offers all sorts of different and creative treats. From where do you draw your inspiration for recipes? I love looking for new recipes on the web, visiting out-of-state candy stores and going to trade shows. Are there any other bakers or candy-makers who inspire you? I love Paula Deen and Nancy Fuller! What are your personal favorite Holly B’s treats? My favorites are our toffee chips, our caramels and my raspberry cheesecake fudge! That’s one of those where I stick my head in the bowl to lick it clean when I’m done making it. Our fudge apples are yummy too! You truly seem to love what you do. 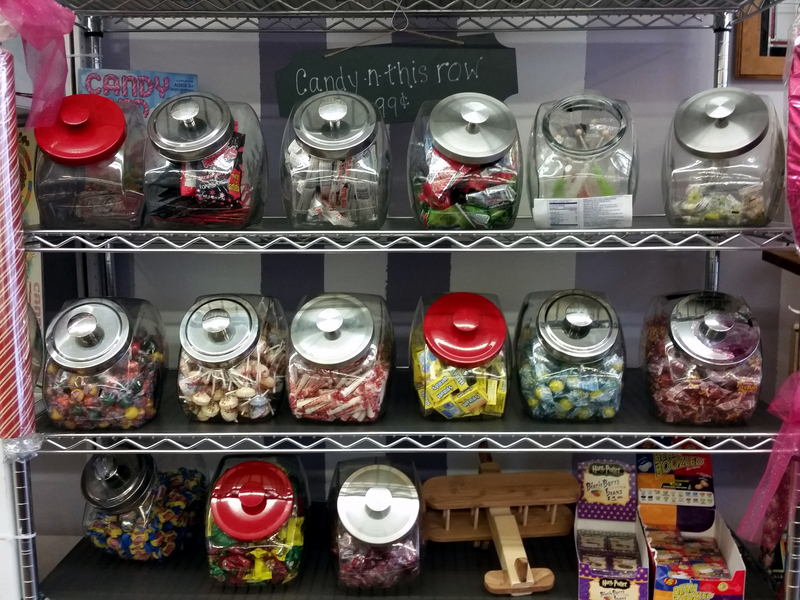 What’s your favorite part about a running a candy shop? I have a motto that goes “yummy for the tummy and a laugh to make your day.” I really just love talking with everyone who stops in and trying to make people happy. What’s the best thing about working in Warren County? Warren County has really given me the opportunity to have a business, as simple as that sounds. There always seems to be some sort of big event in town that brings new people into the shop, and we loving having them! Hungry for more? Check out these other sweet stories!